The final performance of Albert Herring at the Britten Theatre, RCM. 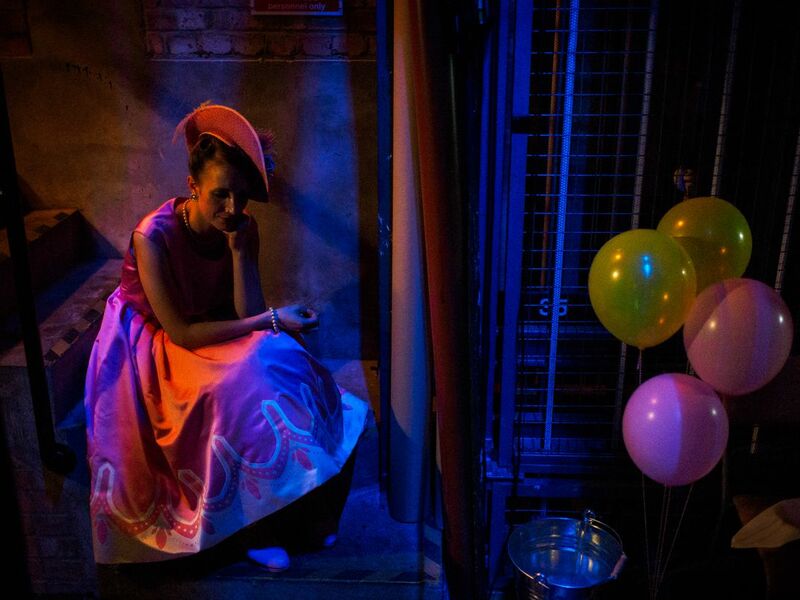 Miss Wordsworth, played by Sofia Larsson, reflects on her performance backstage and awaits her cue for her next scene in the second act. Albert Herring by Benjamin Britten. Royal College of Music, Bitten Theatre, Prince Consort Road, London.